I am not familiar in cooking with a microwave oven. In fact this is the first time I used microwave oven to roast chicken. That explains the burnt part at the bottom of the chicken because I set the timer to 45 minutes under high heat. Actually 20 minutes are enough to cook this quarter chicken. It is real easy to cook with a microwave oven as it require less time than electric oven. Since this was my first experiment and cooking adventure with microwave oven, I just used a simple marinate for the quarter chicken thigh. The meat is a little tougher compared with the ones I cooked using electric oven but the skin is crispy. Marinade chicken with all the ingredients except the honey for around 3 hours. 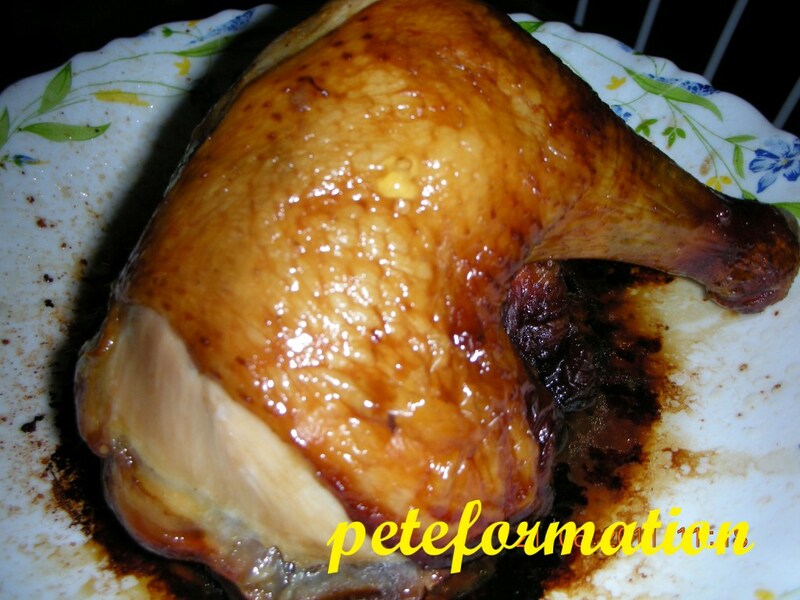 Roast chicken in microwave oven for around 20 minutes under high heat. Take the chicken out and glaze with honey. Roast for another 5 minutes. interesting. I don't do any microwave cooking, just reheat stuff. Never try microwave cooking. Old man - I've this thing against microwave... I'd stick loyally to the tried and tested paths. I also never tried with my microwave oven, i doubt mine can roast.. :) not canggih enough.. but yours looked very nicely done.. The drumstick looks so big from the photo! haha. I've tried this method before, easy and yummy! I also don't know whether my microwave can do this stuff or not. I use microwave solely for reheating purpose. Zapping with microwave will create dry meat. Unless you used the convection function or the grill function on your microwave oven. Not all ovens come with these 2 extra functions. Some microwave ovens even comes with combination function, it microwaves it to cook faster, but yet has heat applied to it to give it a nice "roasted" feel. Usually cooking with "combination" function uses half the amount of time compared to regular roasting. When I roast chicken parts using a convection oven, it takes half the time compared to the ovenette, of which is the type I saw you have in your blog. hubs has a toaster oven... sounds like this is one good dish for us. 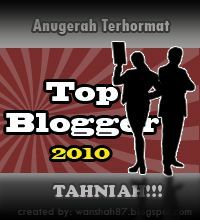 hey, how come urs so nice one..i tried once & tak cantik langsung..! never used microwave oven for cooking before except for reheating purpose..
Can't say I roasted thighs in the microwave but did need some broth so took 4 thighs and covered them with water. Only ttook 10 minutes to cook and were tender and tasty. Will do it again.